Wow. The ACA Level 4 Whitewater Kayaking course, taught by JR and John of Sundance Kayak School, exceeded my expectations. 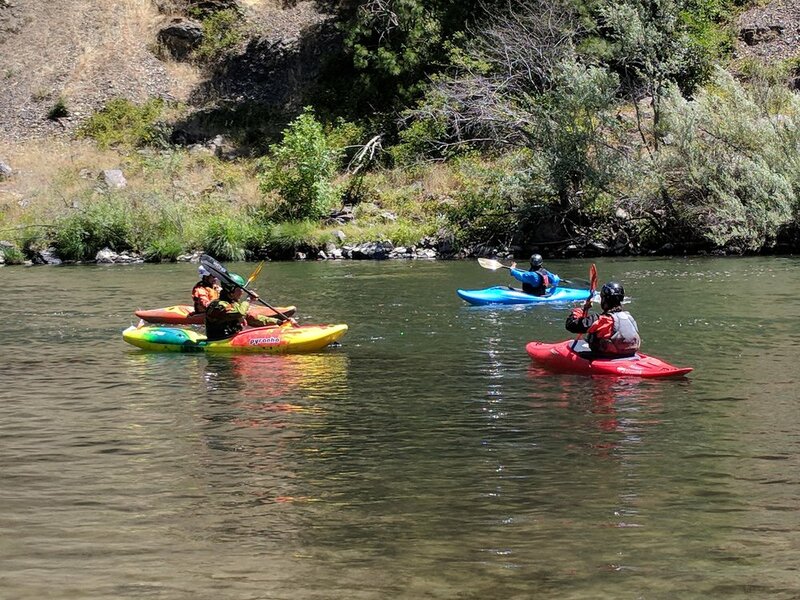 Honestly, I wasn’t sure what to expect – but my week on the Rogue River with them turned out to be a great time. Although I’ve been kayaking for well over a decade, this was the first formal instruction I’d ever received. I learned so much! It was humbling to go back to basics and learn things like proper techniques for basic paddle strokes, correct body posture, and how to use the right stroke at the appropriate time (stern draw vs. sweep). Just working under a trained coach with a keen eye and an excellent teaching style was awesome! I also learned new teaching techniques, such as keeping it simple. It’s important to meet students “where they are” instead of pushing content. And it’s more important for students to feel like they’ve accomplished something – such as ferrying across a river – than for them to master the perfect ferry angle (if there even is such a thing). I also learned about river etiquette and how to pass this on to students. ...but very quickly we were out on the Rogue! Finally, the Sundance Kayak School folks have been great. From their early emails assisting us with lodging recommendations to their warm and welcoming attitudes toward our whole family – they were tremendous. Thank you, Team Sundance, for everything. We’re already looking forward to paddling with you in India! 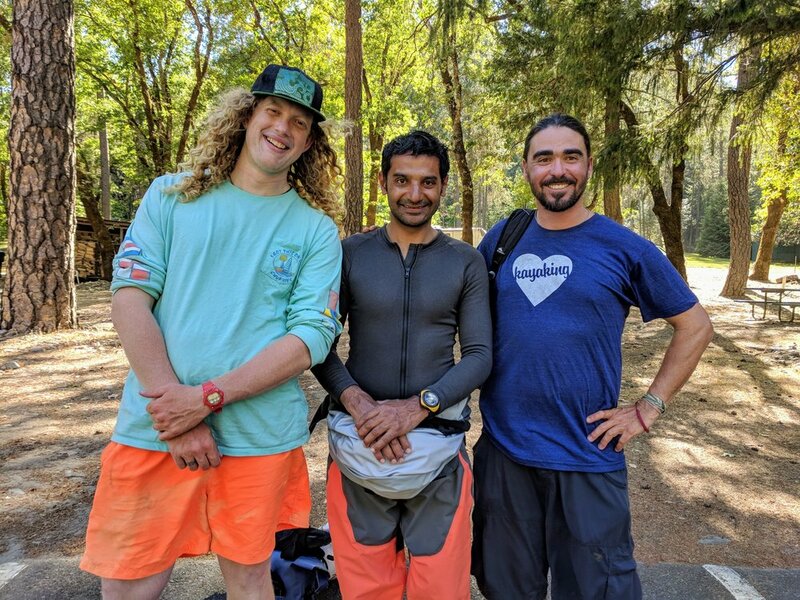 Big smiles with his instructors after successfully completing the course! From left: John, Anvesh, JR.